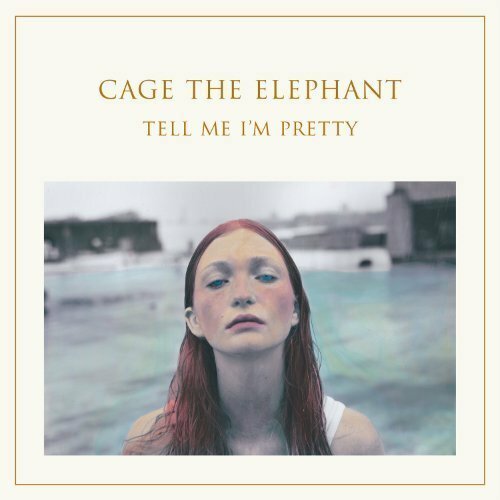 Indie rockers Cage the Elepahant have released Tell Me I'm Pretty. The 10 track album clocks in at 38 minutes, and was produced by The Black Keys' Dan Auerbach. This is the group's fourth studio LP, and first without guitarist Lincoln Parish who left the band shortly after the release of their last album, Melophobia, in 2013. From the album's opening garage rock feel of "Cry Baby" to the closing, retro sounding vibes of "Portuguese Knife Fight," the music is drenched with a nostalgic feel for late '60s psychedelia and early '70s rock. "Mess Around" is fueled with fuzzed out guitar riffs, swirling sound effects, and an infectious chorus. Auerbach's fingerprints are most evident on the Bonnie & Clyde story of "Too Late To Say Goodbye," with a nice mix of clarity and distortion that's similar to records Dan has made with The Black Keys and his newest project, The Arcs. "Cold Cold Cold" has a sunny feel to it that recalls British band The Animals. Matt Shultz's vocals sound comfortable on songs like "How Are You True," with it's Beatles-ish vibe, and "Trouble," with catchy melodies, guitar riffs, and an infectious chorus. "That's Right," a jangly upbeat number, precedes a woozy, rock-stomp attitude "Punchin' Bag." Tell Me I'm Pretty flows smoothly from one song to the next while not sounding stale or repetitive. It's a big change for the band, as they veer from raucous hard rock to a smoother and more relaxed sound. Tracks we like include "Mess Around," "Too Late To Say Goodbye," "Trouble," "Cry Baby," "Cold Cold Cold," and "Punchin' Bag." Pick up Tell Me I'm Pretty on Amazon (Vinyl, CD, MP3). You can also stream the full album above for free, via Spotify. For the latest music, news, and tour dates from Cage The Elephant, check out their Zumic artist page.